Archangel St. Michael’s is one of the seven Archangels and the Angel King of Angels. 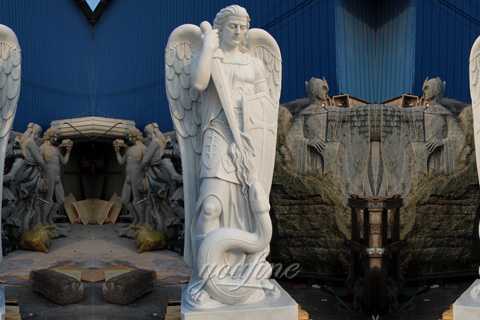 One of the most popular ways to show loyalty to this mighty warrior is the statue of Saint Michael Angel Patron. In the New Testament St. Michael’s Archangel led the armies of God against Satan’s power. 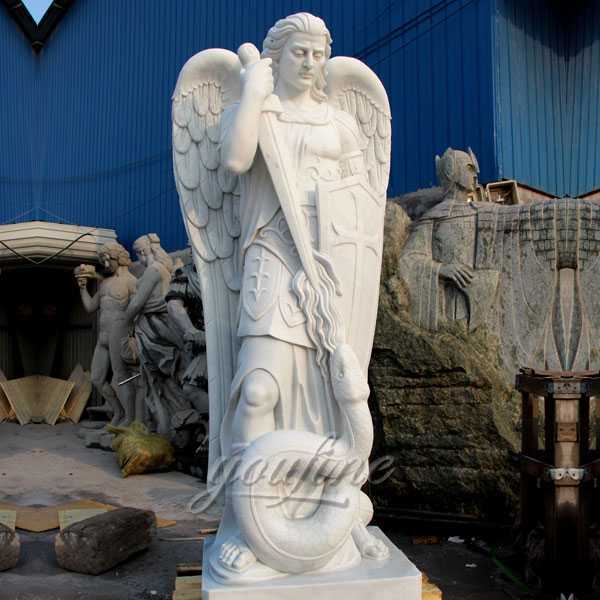 Famous artists sculptures of Saint michael archangel statue is carved from a slab of white marble, 180cm height. One of the most popular images in European art, this grand-scale, museum-quality sculpture pays homage to the Renaissance work by Reni. An astonishingly detailed image, our more than 180cm tall “St. 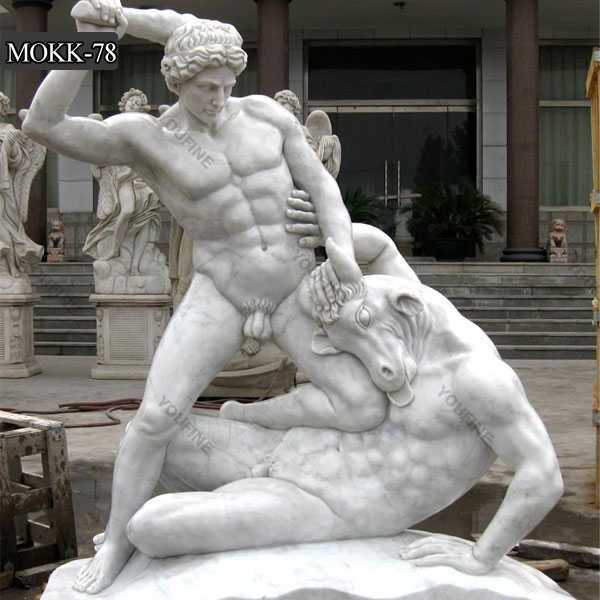 Michael” is cast in quality designer marble and finished to replicate fine marble. With outstretched wings and strong diagonal line indicated by the thrust of a sword, this investment in quality art depicts St. Michael defeating the devil. Bring inside during freezing temperatures. The interior of statue is solid. 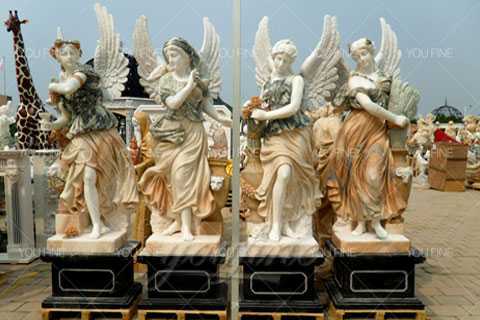 For every piece, we have professional clay mold studio to make the clay mold to ensure the vivid and exquisite of the statue.Please call us for personal sales assistance. Customers are encouraged to bring in items during severe weather conditions or to spray items periodically with clear coat protection to extend the life of the finish. Step1: Confirm design,material, and dimensions. Step2: Make 1:1 clay model, we would constantly show you the progress and update the clay mold in the base of your feedback until you are 100% satisfied. 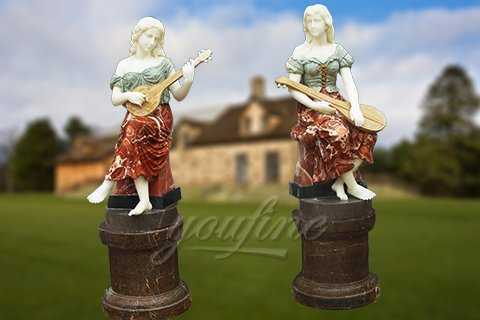 Step3: Sculptor choose the suitable top natural stone material then to carve. Step5: Packing and door to door deliver. 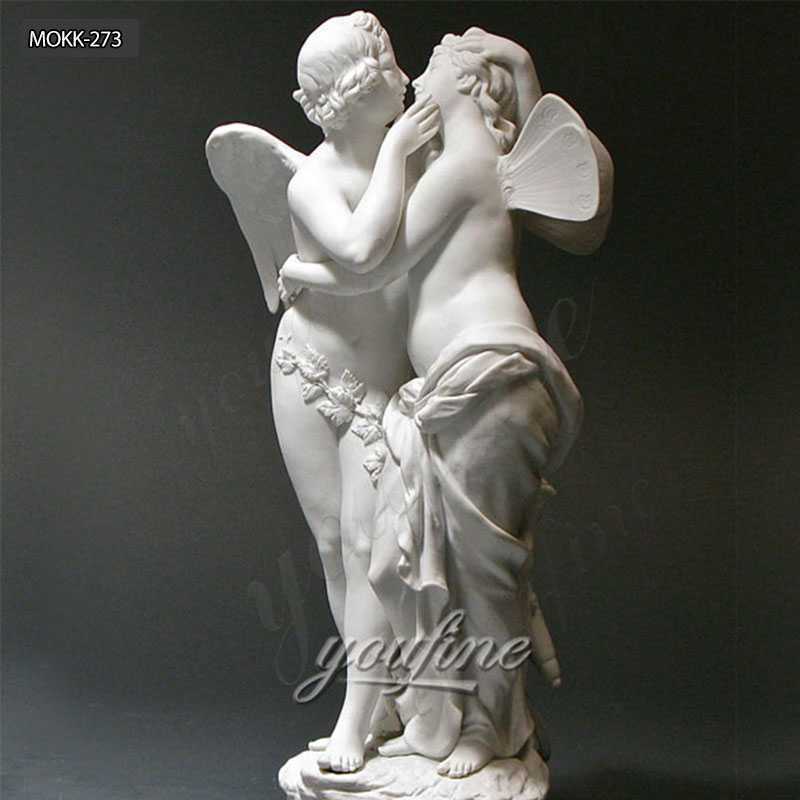 Installation and maintain: every bust and other sculptures attached the installation instruction, also welcome to consult to our sales at any time.